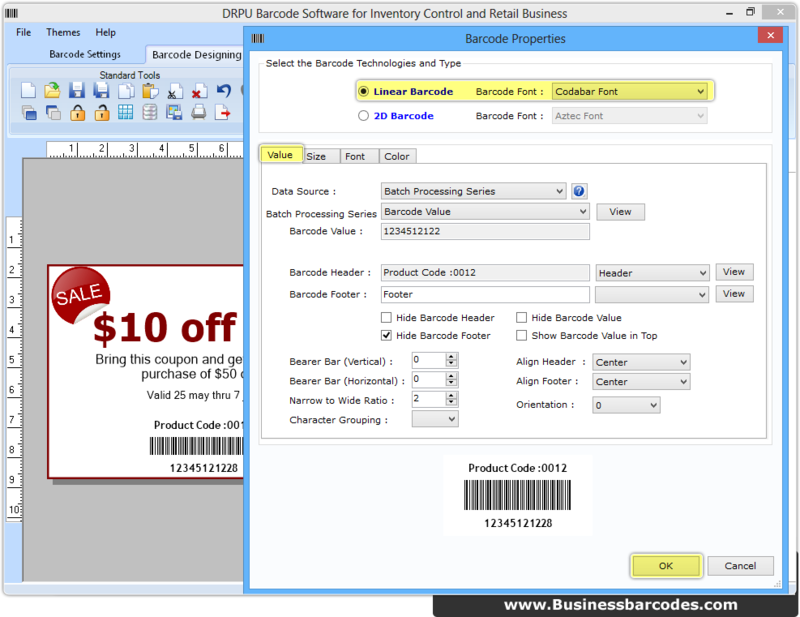 To add barcode on your label you need to select barcode technology (2D or Linear) and font. Go to ‘Value’ tab and choose data source (Manual or Batch Processing Series) then enter bar code value, header and footer. 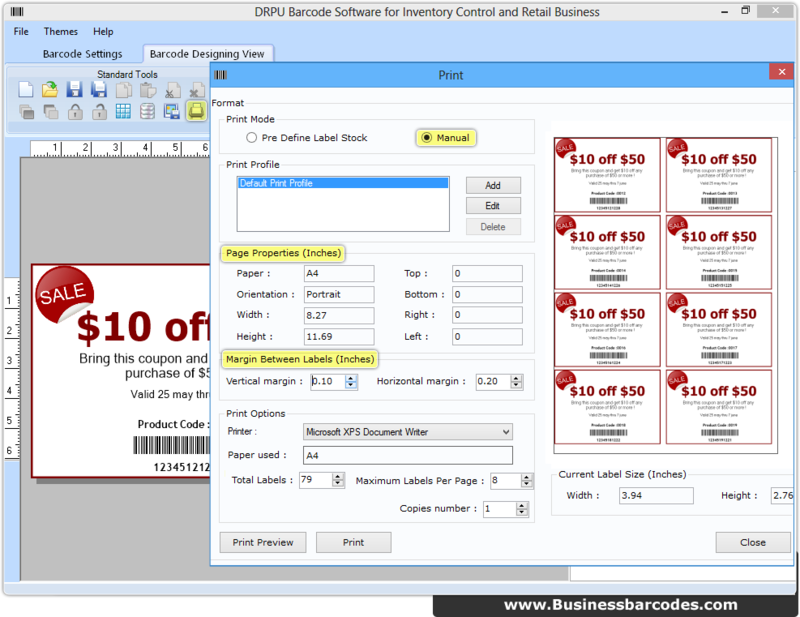 To print list of bar codes, click on print option then choose print mode (Manual or Pre define). Set various attributes as per requirement.